An airport hotel is often the best option for travellers having to catch an early flight. 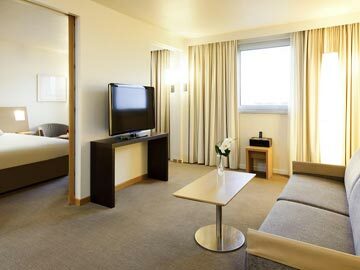 From BnB to cheap or luxury hotel rooms, there are various types of accommodations to choose from close to Paris Roissy de Gaulle airport. 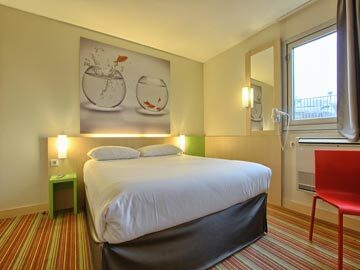 Find the best deals for your travel dates on accommodations in and around Paris Roissy airport. Compare hotels rooms price online in just a few clicks. 2 hotels are located within the airport, both at terminal 2 : The Yotel and the Sheraton. The Yotel also called YotelAir CDG is a transit hotel located on the airside inside Terminal 2E. The Sheraton is a luxury business hotel directly connected to Terminal 2. 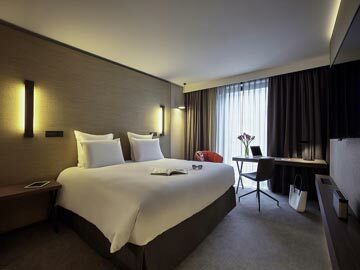 The Sheraton Hotel is surely the closest to Roissy airport as it is located within Terminal 2. Well-Being space, fitness center, bars and restaurants, meeting facilities, ... A perfect choice for business travellers looking for comfort. The Yotel is a cabin hotel that can only be accessed by travellers with a departing flight with destination outside of the EU. It is a transit hotel and the maximum stay is only one night. Looking for an accommodation near Roissy CDG ? Citizen M, Hilton, Pullman, Novotel, Ibis, ... here is a list of hotels and places to stay close the airport. Most of these properties are located at walking distance from Terminal 3. A free automatic shuttle service connects the 3 terminals. 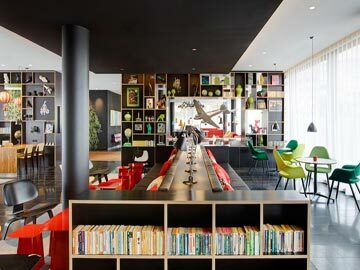 The Citizen M is undoubtedly one of the top picks in Roissy. Rooms with king-size beds only and wall to wall window, 24 hour food & drinks, stylish colourful decoration, bright, large and comfy lobby with a collection of books and magazines ... All is made to make you feel home. Hilton Hotel is located just a few minutes walk from terminal 3. It features 380 large rooms, 24 meeting rooms, a large atrium with an amazing glass roof, a bar and a restaurant, not to forget a fitness center and a swimming pool. The Novotel is located in the very heart of airport area, just a short walk from terminal 3. 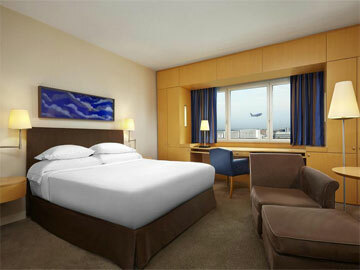 Rooms, some of which offer a view of the airport runway, are bright and tastefully decorated. Day rooms may be available on request. 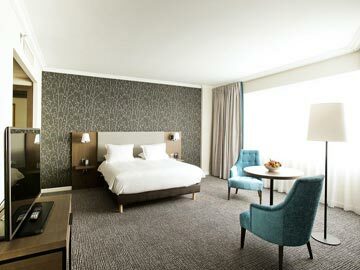 This Ibis Styles is a 3 star hotel situated steps away from terminal 3. A complementary shuttle service is available for Terminal 1 or 2. One of the cheapest lodging option within airport area. Please find here below other hotels or lodging options near the airport. Do not hesitate to compare room deals to find the right place to stay at the best possible price.